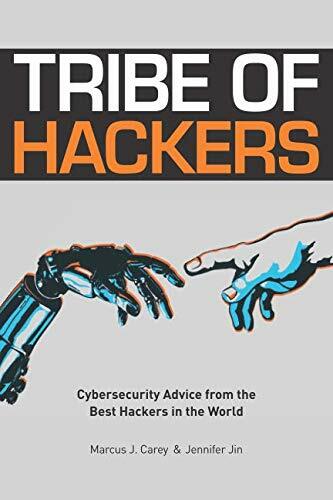 Amazon.com description: Product Description: There are already hundreds of thousands of cybersecurity professionals and according to some sources, there is a shortage of several more hundreds of thousands.Â Tribe of Hackers wants to change that. We asked for industry, career, and personal advice from 70 cybersecurity luminaries who are ready to break down barriers and shatter ceilings. It's about time. This book can be a catalyst for change for anyone, from beginners trying to enter the industry, to practitioners looking to start their own firms. What "life hacks" to real hackers use to make their own lives easier? All proceeds from the book will go towards: Bunker Labs, Sickle Cell Disease Association of America, Rainforest Partnership, and Start-Up! Kid's Club. We can't wait to show you the most epic cybersecurity thought leadership collaborative effort, ever.